The American Standard Princton collection is Aristocratic. Spirited. Sculpture. Intelligence. High-minded styling with ceramic disc valving and all metal construction, the Princeton collection is an intelligent choice for traditional bathrooms. 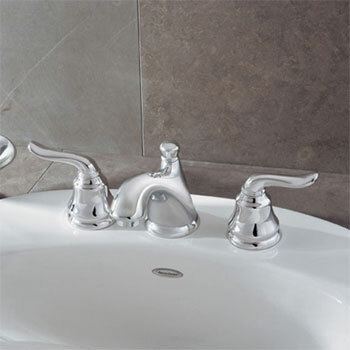 The Princeton bathroom faucet collection from American Standard is made from made from cast brass for strong and durable use. 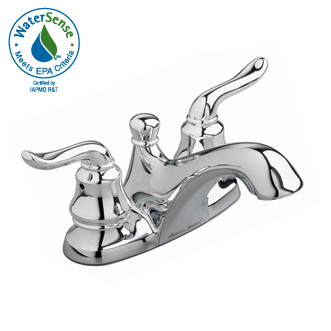 The interior of is faucet is equipped with a ceramic disc valve which constitutes a lifetime of drip-free operation. It also meets the low lead requirements so you know your family is safe. 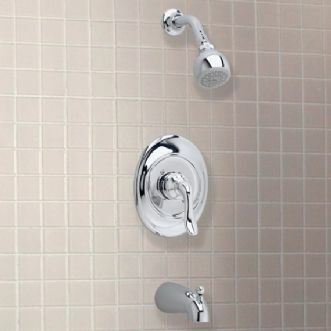 The revolutionary Speed Connect system by American Standard with a pre-assembled drain makes this one of the easiest faucets to install. All in all, if you are looking for a great faucet at an affordable price, then look no further. 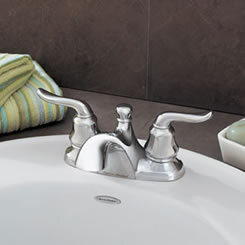 The Princeton collection isn't just limited to faucets. The collection is also made up of durable bath tubs and shower kits. 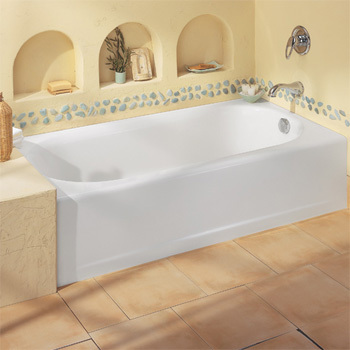 Princeton Americast bath tubs feature a great looking front apron and a tilting flange for easy installation. 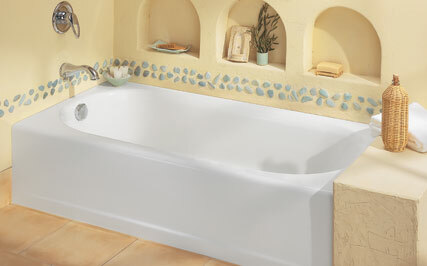 The tub is made from Americast material which is lighter than traditional tubs and just as durable. The tub design incorporates a lumbar support and a headrest for maximum comfort and a slip-resistant bottom for safety. * Ceramic Disc Valve Cartridges: Assures a lifetime of drip-free performance. * Cast Brass Waterways with "City Shanks": Strong and durable. Integral tabs on casting provide a wobble-free installation. * Low Lead: Meets NSF Standard 61/Section 9 & Prop 65 lead requirements.